Maybe Cloud computing could use a better name. The truth is, the concept of “the cloud” has been around for a long time. And maybe the misconceptions people have about it are remnants from the days when the Internet was still in its dial-up infancy, way back when we called a software hosting service an ASP (application service provider). But like old habits, old notions die hard. And the myths surrounding Cloud computing are too often accepted as gospel without the facts to back them up. 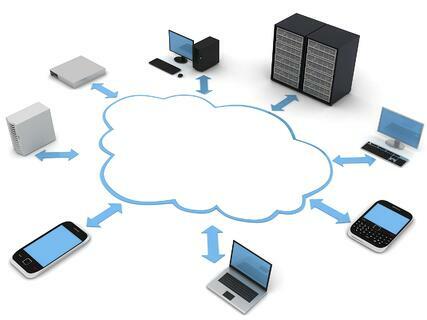 So let’s take a closer look at Three Myths About Cloud Computing. This myth is really about losing access and ownership to the transactional data that is rightfully yours. While there were some stories of companies having trouble getting their data (from early hosting providers) once they discontinued their hosting arrangement, this is really just a myth in today’s cloud ERP. In fact, software developers like Sage know that you need data portability. So when you run your business using Sage 300 Cloud, you have the flexibility of easily converting your cloud ERP software to an on-premises installation and vise versa. No hassles, no restrictions, nothing is locked in, and you don’t lose your data. It all transfers seamlessly to and from the cloud. You might feel that because your server is down the hall in your office, that the data is somehow safer. But that’s just not the case. Consider that cloud software providers act to preserve their own best interests (to keep you as a customer that is) with stringent security measures and safeguards that most small businesses are NOT likely to take. So your data and systems are probably safer with a cloud provider then it is on your own server. Another part of the misconception that you have less security in the cloud is that some cloud services are shared by an unknown number of other businesses and data. But this myth is easily dispelled simply by taking a closer look at the difference between Single- and Multi-Tenant hosts and servers. Like the name suggests, Multi-tenant hosts put several clients on one server. But with a Single-Tenant host like Sage 300 Cloud, you don’t share with anyone. It’s your business applications and your data on a dedicated server – that just happens to be in the cloud (instead of in your office). This myth was born in the days of dial-up Internet access. But today, bandwidth is no longer an issue with data transmission rates at speeds unthinkable even 10 years ago. The market for hosted services is fiercely competitive, which means that providers are likely to have blisteringly fast, state-of-the-technology network infrastructure with bandwidth you’ll probably never see in-house. While it’s true that there could be an outage with your cloud provider, studies show that this is a rare occurrence given all of the systems redundancy and exhaustive backups that are built-in. And if it happens, they take swift measures and get back online quickly. Compare that scenario to your own in-house server/technology freezing up or going down for some reason. How long would it take to resolve? Is there a backup plan already in place? Can it be resolved in-house or do you have to call for outside support? Most small businesses would be out of commission for at least a few hours. Contact us if you’d like to learn more about the benefits of running your business systems, like ERP or CRM software, in the cloud. Or take a moment and check out this quick article 5 Reasons to Move Your ERP or CRM System to the Cloud.